This is the first time I've tried to do a tutorial so I apologize if it's too long, too short, too detailed, too vague, etc. Let me know if it's any of the above so I can try to improve the next time. It does look more like a cupcake and less like a ball in real life. 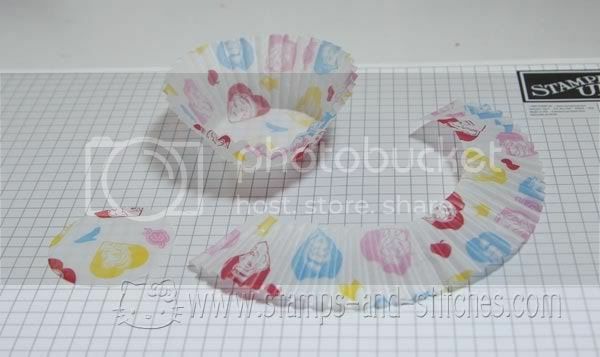 But if I did it again I'd make the sides more up-and-down rather than slanted like a regular cupcake liner. But when I showed it to my kids, they immediately recognized it as a fake cupcake. OK let's get started. First I took a plain cupcake liner and cut it into pieces. I traced it onto some paper to make a pattern-I did not flatten the side of the liner because it would have been too big. 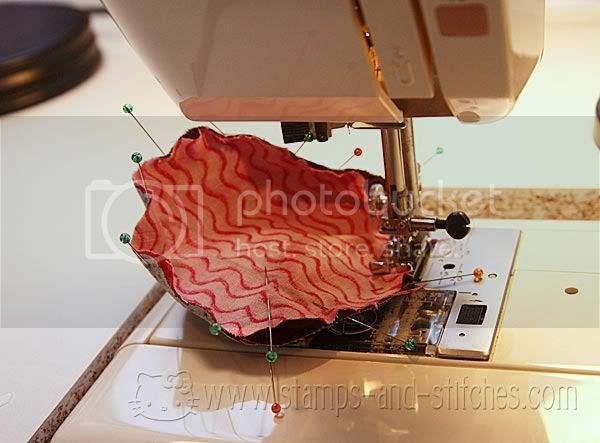 After I traced it I used my handy dandy 1/4" seam allowance adder thing to add seam allowances. 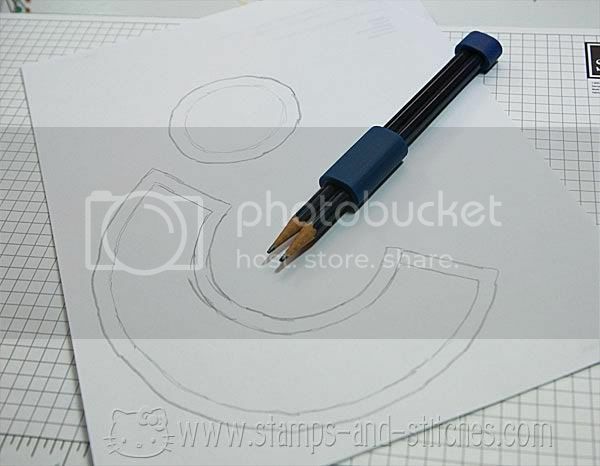 Then I made a top circle using my curvy cutter. I kinda guessed and cut it at 4-1/4". It turned out that it fit perfectly but if it hadn't I would have gathered it a little to fit. 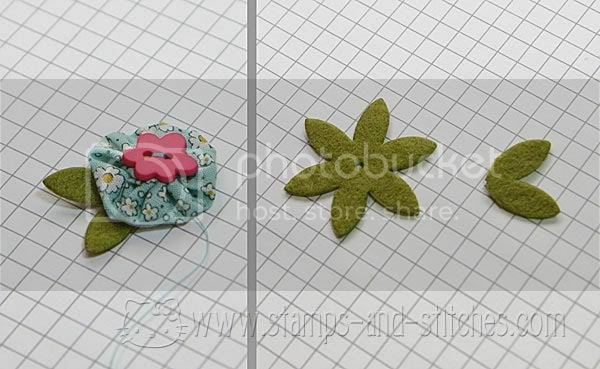 I pinned all 3 pieces to the fabrics I wanted to use and cut them out. Now the sewing begins. 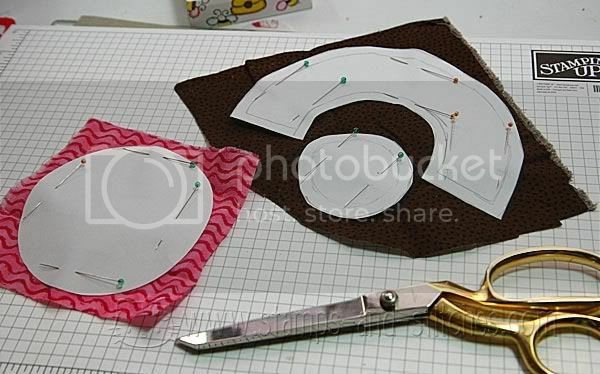 Sew everything with right sides together and with a 1/4" seam allowance. 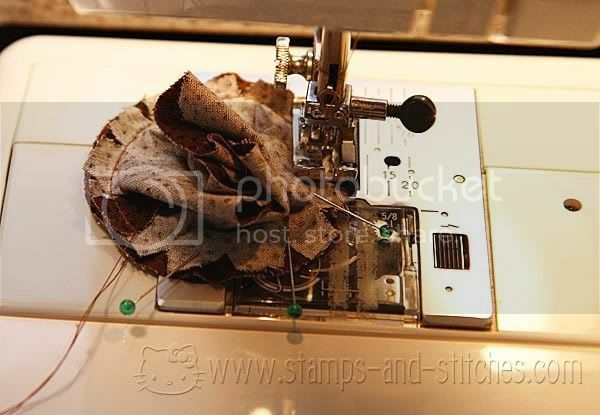 Pin and sew the ends of the strip, leaving an opening to turn and stuff it later. I forgot so I had to pick out the stitches. This makes it easier to fit it to the round bottom. Use pins to divide the bottom circle and the cupcake side into quarters. 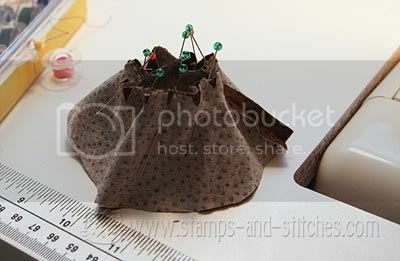 Match up the pins and pin and sew the bottom. 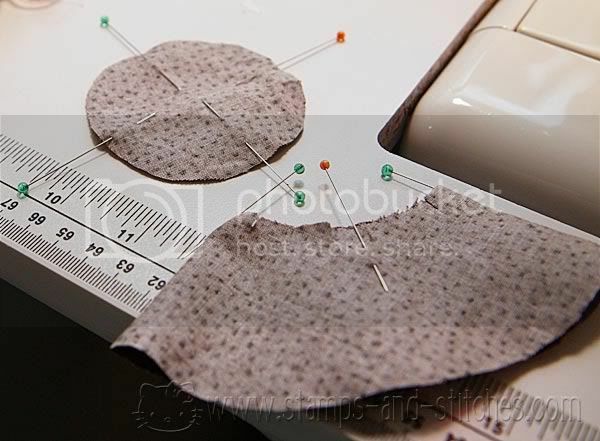 Again, use pins to divide the top circle and the side into quarters. Match up the pins and pin and sew the top. Turn the cupcake right side out. 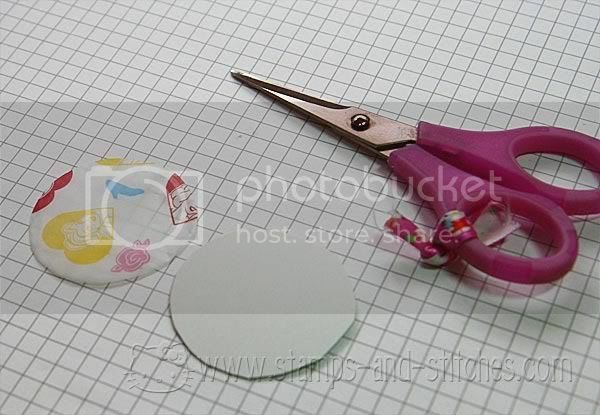 Then I cut a circle the same size as the bottom from cardboard to keep the cupcake flat and sturdy on the bottom. Insert this into the opening (you may have to roll it a little) and work it down to the bottom. Stuff the cupcake firmly. While stuffing, keep maneuvering the cardboard circle back to the bottom because it'll try to move around in there. 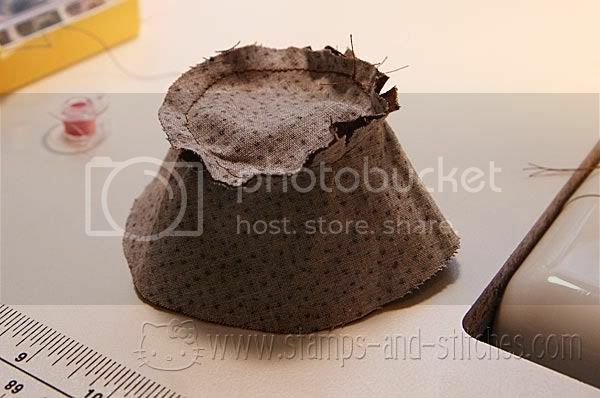 After it's firmly stuffed, hand stitch the opening shut. 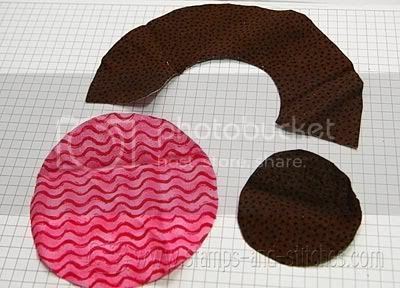 Then I took some pink rick rack and hand stitched it around to hide the seam. Turn the ends of the rick rack under and put that side to the back because it's not super pretty. Or maybe put something over it. I'll just choose to not look at that spot. For the flower I made a small yoyo using my clever clover yo yo maker. I love that thing. For the leaf I took a Stampin' Up felt flower and cut it apart. 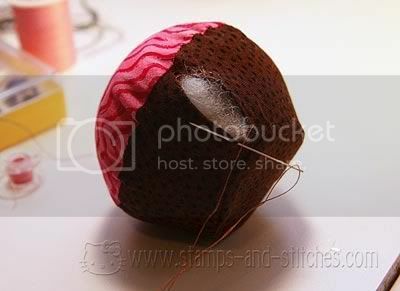 I sewed the leaf to the bottom of the flower and a pink button to the middle of the yoyo. 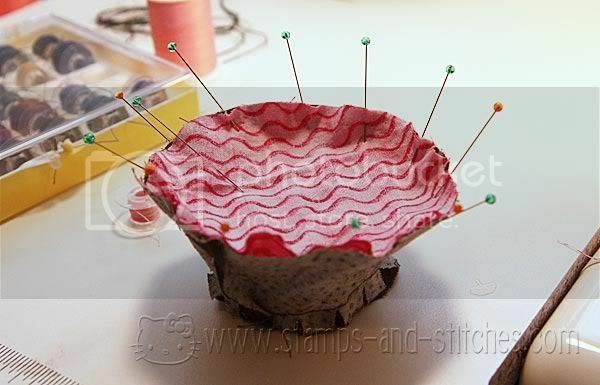 Then just sew the flower to the top of the cupcake. I chose to put it in the center but it would be cute offset to one side too. 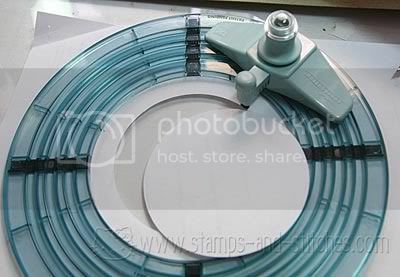 Or covering those unpretty rick rack ends. And there it is, complete with pins. This is wonderful!! Ingenius and adorable!! Great work & excellent tutorial. This is just precious! And, yes, it does look exactly like a cupcake. Great tutorial. OMG!!!! That is adorable! If I wasn't so retarded with sewing I would totally make one. You did a fantastic job. This is SO CUTE!!! OMW I love it! Super cute! Thanks so much for sharing and for the awesome tutorial! Gale that is SUPER cute!! you did a fantastic job!! That is just too cute! What a great job you did on that. The tutorial is very well done too. Thanks for sharing it. This is so cute!! Love it. 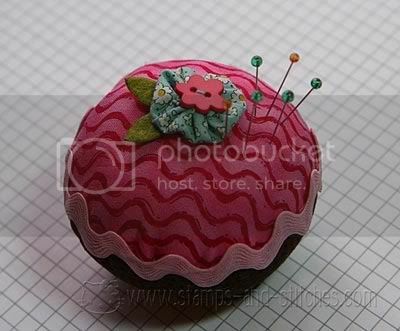 It looks like a cupcake to me. I don't think you could do much to it to make it look more like one. I just want to thank you for all the great comments you leave on my blog. i really appreciate it. Somehow you almost convinced me that I could do this, so it's a great tutorial...LOL! Def a cupcake, no mistaking it. It's cute! Totally adorable! 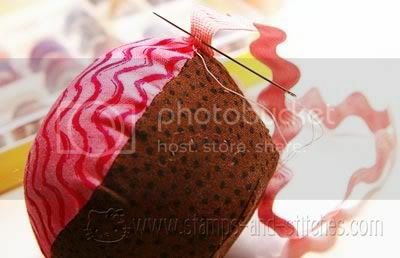 I'm hosting an apron swap with a cupcake theme and have linked to your post. THANKS for sharing your great idea. 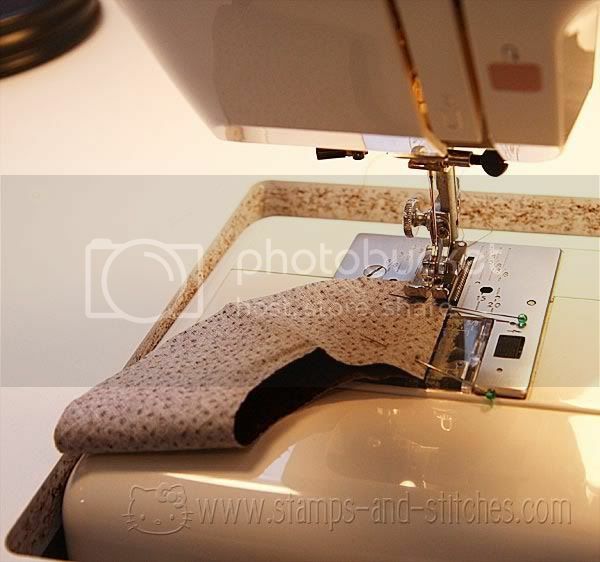 We'd love for you to join our apron swap if you can! Great graphic instructions the only one I could find on the www. Thanks for sharing. 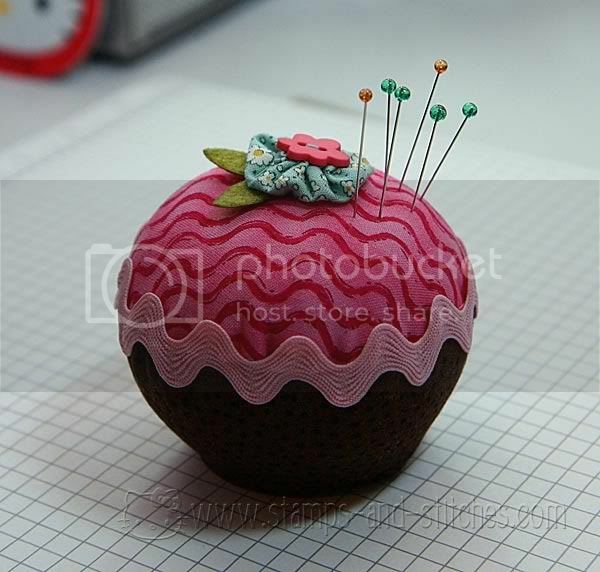 I've been trying to figure out how to make the perfect cupcake pincushion. I'm grad I found this tut! I love this! 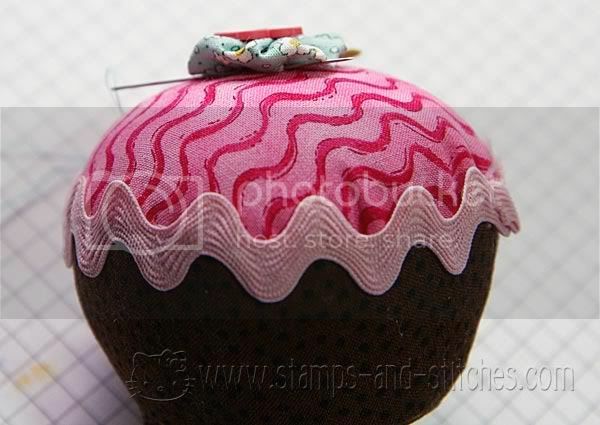 I have been looking for a cute cupcake pincushion tutorial and this is the best I have found! Thank you and way to go!!! Love this tutorial! 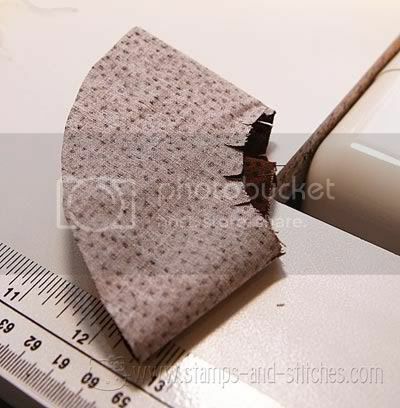 And where did you get that seam allowance pencil thingy? Genius! I love this pattern! I'm swiping it. I need more pincushions and this is perfect. Thanks for sharing.